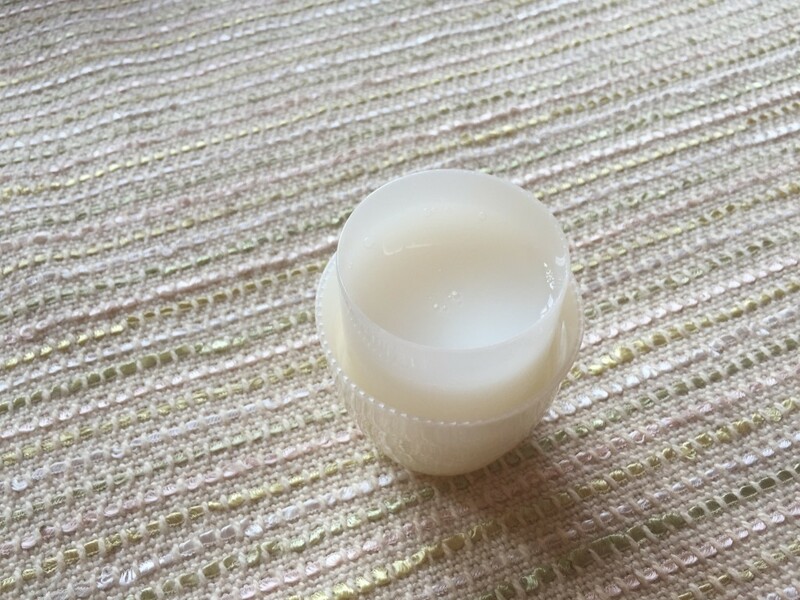 It’s a thick, milky white liquid with a fairly strong perfume-type scent. The dosage is about a capful for normal loads, and there are roughly 20 loads in one bottle. It is said to keep dark colors saturated much longer than regular laundry detergent. Here is a link to the ingredients list: as you can see there are 5 enzymes and fragrance (parfum) is pretty high up on the list. 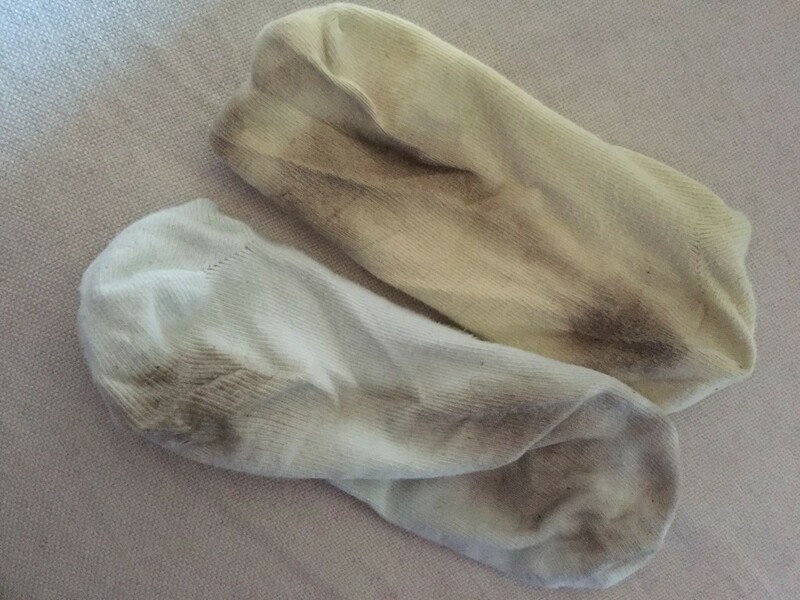 …and washed them along with a load of colors using nothing but Perwoll Black. I chose the same settings I normally use: Custom Cycle, Warm (40C/104F), Heavy Soil (prewash), Sensitive (extra rinse). I used about 1 full cap of Perwoll Black divided between the prewash and main wash compartments. 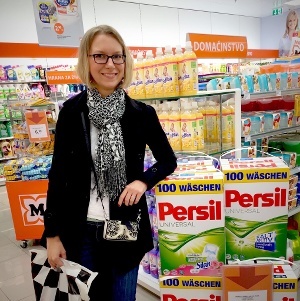 Now, a little bit about my laundry philosophy: most of the time I really prefer all-in-one solutions. I don’t want to spend time pretreating stains or adding any detergent boosters to my regular everyday loads. The reason I was curious about the strength of Perwoll Black was that with black clothing it can be difficult to tell just how clean they are getting, till the deodorant residue sets in of course. And then you’re in for some trouble! Seriously, detergent residue is the. worst. thing. ever. 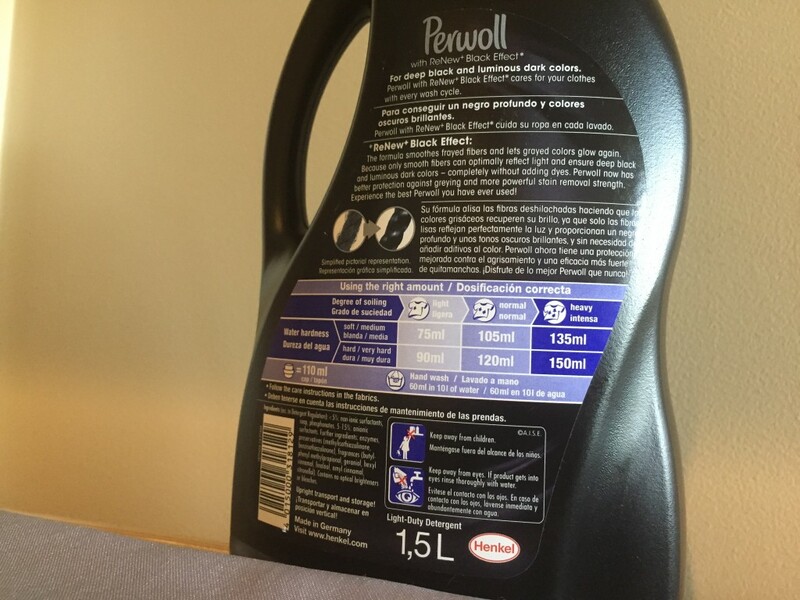 As you can see from the picture above, Perwoll Black is definitely a light duty detergent (which it clearly states on the bottle! ), and not something that can handle regular soil levels. 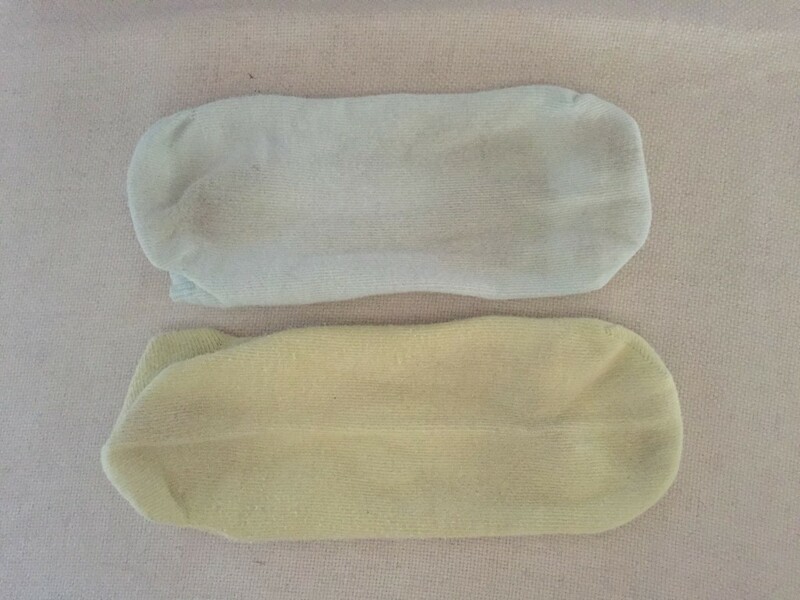 At the same time, it leaves clothes incredibly soft, and is gentle on dark colors. So here’s my verdict: I will continue to use Perwoll Black for loads of darks, but only as a main wash following a prewash with a healthy dose of Miele UltraColor powder . Every couple of washes I will use only a regular detergent for colors to make sure that no grime is getting built up in the fabric. This is also a fantastic option for washing jeans, cardigans and office clothes that I want to keep looking decent for a while. Have you tried Perwoll Black? The Amazon reviews are quite positive, although the scent is a little controversial. The Perwoll Black was purchased by me for personal use. this blog post contains affiliate links that will give me a small commission on any purchases made through the links. I also use Woolite Pink – For Cashmere/Woollens & All Silk’s & Also Woolite Black – For My Dark & Black Laundry Items in my brand new Miele W1 WKF121 P.WASH 2.0. & honestly think there both fantastic products!! I also use Ariel With Actilift Liquid Gel & Powder for my Whites & Ariel With Actilift Liquid Gel For Coloured’s,& Bold Lavander & Camomile Powder,Liquid Gel,Liquid for all my Bedding/Towels,Sleepwear etc & find that all my washing comes out exceptionally clean & fresh smelling!! I also use Fairy Non-Bio Powder/Liquid Gel & Liquid if I need to do a Sensitive Wash with their Fairy Softner & also Lenor & Lenor Un-Stoppables!! 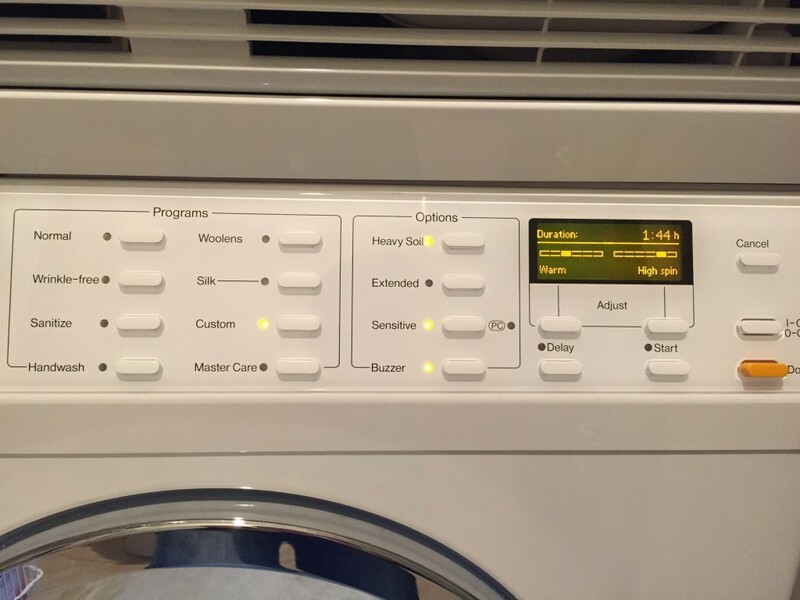 My new Miele Washer has a DELICATES PROGRAMME,WOOLLEN PROGRAMME & SILKS PROGRAMME which is absolutely fantastic,+ a PRE-IRONNING SETTING to help cut out having to Iron Shirts/Jeans Trousers etc!! Think we had Tide Powder here year’s ago until it was pulled of the market for some unknown reason!! & also Wisk which deffo wasn’t very good & also one called Radion all three which pulled pff the UK/Ireland Market!! Thank you for sharing Paulie! So glad you’re enjoying laundry! 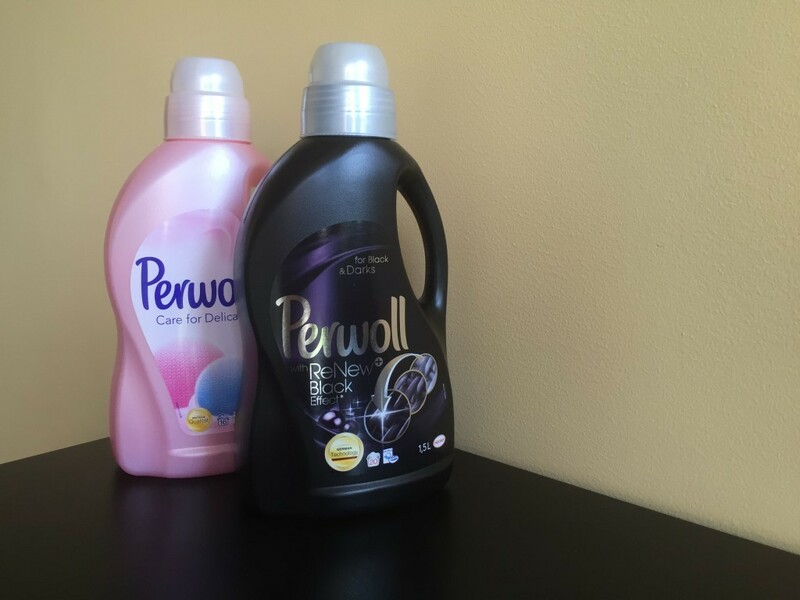 Question of the two major darkening detergents does, Perwoll black retain colors better than Woolite Dark? If you were to choose one brand what would you use? Hi Jeremy, I actually have never tried Woolite Dark since I’ve been happy with the performance of Perwoll, so unfortunately can’t compare the two directly. One major difference is that Woolite does not contain any enzymes, so if Perwoll is a light duty detergent Woolite will have even less cleaning power. 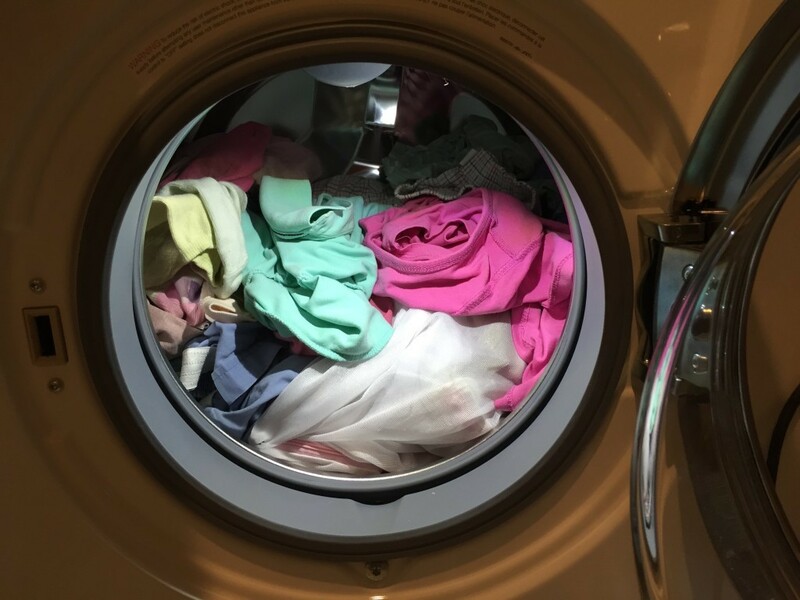 This may not matter for garments like jeans and towels, but if you are planning to wash everyday t-shirts and socks that may or may not be enough.